I affectionately call Mondays my "Recover the Frat House" day. I promise the kids do their own laundry. I get all mine done in five days and leave the laundry room open for them on weekends. They also clean their own bathroom and rooms. That is not my job... Ha! I take the house back every Monday! There is always coffee with breakfast and then one break mid-morning for sure. As the temperatures grow cooler there are typically afternoon coffee breaks, too. I do have tea sometimes but coffee usually wins during the day. I have taken to stopping for breaks throughout busy days like Monday. I stop for water breaks often... and then there are the coffee breaks. 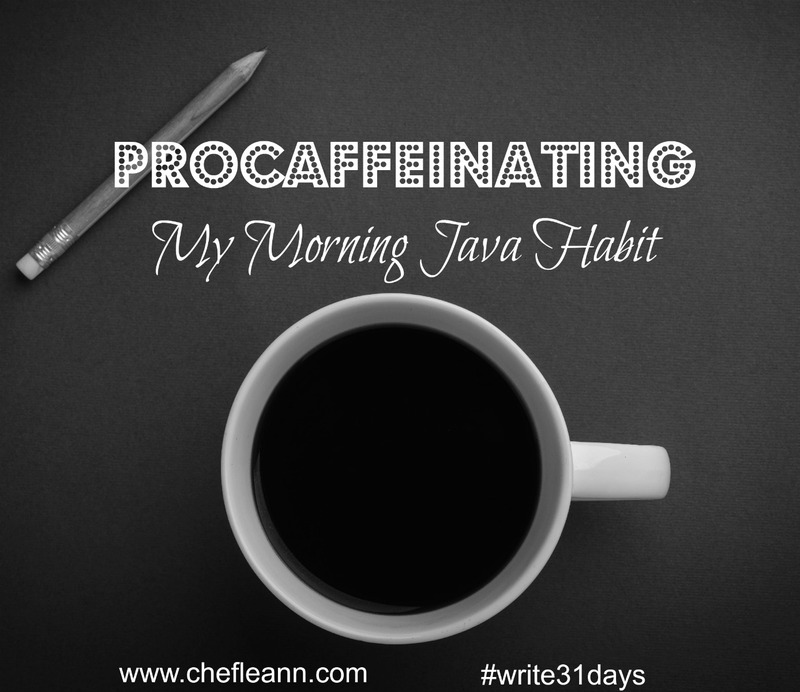 I tend to be a bit of a Procaffeinator. To Procaffeinate is to drink coffee in order to put off other things you should be doing. Are you a coffee, tea or both person? I tend to be both. Coffee is a habit that I won't be ditching anytime soon. I just love the taste, smell and comfort of it. So, do you have times you take breaks as you work? What is your favorite way to take a break during the day? Interesting recommendation on drinking coffee for best results with your hormones. Want to add some fitness to your break?